Women no longer have to put up with toxins in makeup. For decades we have slathered talc, petrolatum, ureas, synthetic dyes, contaminants, and more on our eyes, lips, and cheeks, unaware of the potential dangers of each. Even in recent years, as we’ve learned more about how some ingredients can be irritating, aging, and potentially harmful to our health, we’ve continued to use them, believing we had no choice. Today, that’s changing. There are more and more natural and organic makeup brands out there changing the status quo and offering women ways to beautify themselves without taking risks. Here’s more on this important subject-and why you may want to start thinking about changing the makeup you’re using today! First, we’d like to draw your attention to a new video put out by the Campaign for Safe Cosmetics. You can check it out now-it will give you a good understanding of what we’re talking about here. The FDA has limited power when it comes to regulating cosmetics-manufacturers do not have to get FDA approval before creating and selling their products. Many makeup products contain questionable ingredients, including those tied to skin and eye irritation, allergic reactions, hormonal disruption, and in some cases even infertility and cancer. The European Union has banned over 1,300 chemicals from their personal care products, while the U.S. has banned only 11. More expensive products aren’t necessarily safer. 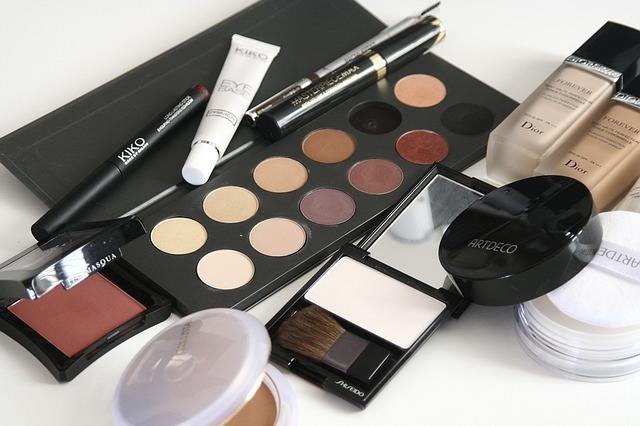 Meanwhile, many of our common makeup products can contain potentially dangerous toxins. Here’s a glance at a few. Mascara: May contain mercury as a preservative, which is linked to birth defects, brain damage, and organ system toxicity. Though most manufacturers no longer use it, some do, particularly the “cake-type” varieties. You can tell by reading the ingredient list. If you find “thimerosal,” avoid the product. Eye shadow and blushes: May contain talc (linked with cancer and sometimes contaminated with asbestos), ureas (which may release formaldehyde, a carcinogen), and BHA (linked to increasing risk of damage from UV rays). Lipstick: Tests by the Campaign for Safe Cosmetics found that 61% of name-brand lipsticks contain detectable levels of lead. Later, the FDA found hundreds of lipsticks contaminated with the toxic metal-including well-known department store brands. Lip gloss: May contain mineral oil, which can be contaminated with impurities linked to digestive issues, and may also create excess dryness in the long-term. Micronized mineral makeup: Tiny particles called nanoparticles and micronized particles make makeup look smooth and flawless, but they can also be a health risk, especially for those with allergies and asthma. Foundations and concealers: These may contain things like talc (which may be contaminated with impurities and has been linked with cancer), parabens (preservatives linked with breast cancer), and mineral oil (derived from crude oil; clogs pores). Makeup remover: May contain sulfates, which are harsh cleansers that can accelerate aging and irritate skin. Granted, most cosmetic products contain low levels of these potentially toxic ingredients, but remember-we use up to twelve of these products a day, most every day, over a period of decades. What are we doing to our skin in all that time? How might our skin age differently if we weren’t exposing it to these chemicals all the time? Start reading labels: Look for those ingredients we listed above, and see our “Ingredients to Avoid” list for things to stay away from. Look for reputable companies: This is the best way to find healthier makeup options. There are many companies out there today who understand that women want products that don’t expose them to potential dangers. We put together a great list of shopping locations here that will help you get started. Check your favorite products for toxins: The Campaign for Safe Cosmetics has a great database of makeup products and their ingredients, and then rates those ingredients based on estimated safety hazard. All you have to do is input your favorite brands to find out how safe-or not-they really are. Use the “red list”: The Campaign has also put together convenient “red lists” for ingredients you should avoid in various product categories, including shampoos and conditioners, sunscreens, blushes and eye shadows, and anti-aging creams. Slowly start replacing your products: You don’t have to spend a mint, here. Just start to slowly replace your old products with the safer alternatives that you find one-by-one, until you’ve established a makeup bag you can feel good about. Our advice: start with lipstick. It’s the one that is most likely to get inside your body. Be careful with buzzwords: The words “natural,” and “safe” and “holistic” and the like aren’t regulated by the industry, which means any manufacturer can use them. Don’t be swayed by marketing on the label. Only the USDA organic logo carries weight, indicating that the product followed strict organic standards. You don’t have to use only organic products, however. A product can be safe without being 100% organic. Your litmus test should always be the ingredient label. Establish “makeup-free” days: Can you go without makeup at least one day per week? It’s the repeated use of the products that subjects us to the chemicals over and over again. The more you can give your skin a break, the healthier it will be. Have you heard the buzz about toxins in makeup? Are you moving to safer brands? Please share your thoughts.